Do you ever wonder if you've overpaid for a broker's services? What if a misalignment in your spend versus consumption cost you an extra $75,000? Wouldn't a budgeting tool be helpful in better understanding your month-to-month spend? Too often we come across buy-side funds that cannot justify broker payment amounts. We see funds consistently paying some brokers more than others even though that broker has delivered less meaningful touchpoints to the investment process over the past eight months. Imagine this: You have finished dining at a restaurant with a large group, and you're in charge of settling the bill. You can pay whatever amount you want based off of the perceived quality of the food, without knowing what everyone ate and what they thought of the food. Keep in mind, however, if the amount is too low, the restaurant may push back and demand that you pay more. How can you rationalize the amount you paid if you cannot recall what everyone ate and the value each person received from the meal? This is what is happening today with research budgets. Fortunately, it's not too late to reevaluate the way you budget your commission spend. Manually documenting consumption in your CRM or leveraging third party tools to automate consumption tracking is a great first step in understanding how to budget your commission wallet. We're in the midst of an industry shift where buy-side funds are no longer relying solely on sell-side consumption tracking, but rather are starting to track their own consumption and use that data as an input into managing the budget. Having a point system for each type of event or meeting is the fundamental building block for creating a budget. Start by exporting all of your interactions data into Excel, creating a pivot table and running a total count of each event/meeting type that has been logged. This is how you will know the types of events/meetings that should be considered in your valuation process. The next step is to create values for each type of touchpoint to understand what interactions have been helpful for your team's investment process. Not sure how to get started? Kick off an internal survey. There are no right or wrong answers. 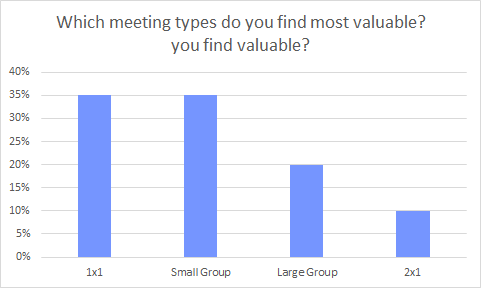 Your fund may consider a group meeting with a C-level executive of a large cap company extremely valuable, whereas another fund finds more value in analyst models. Figure 1: This chart does not represent any actual survey results. Figure 2: This chart does not represent any actual survey results. Figure 3: This chart does not represent any actual survey results. Once you understand how your firm values each interaction, use a rate card to calculate the monetary value for each event and meeting type. Now that you've crunched the numbers, it's time to see how this stacks up with how you are paying your brokers. 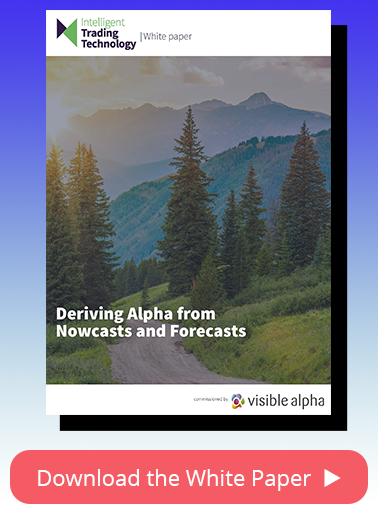 Visible Alpha's clients often cross-reference the numbers and realize they have overpaid a broker for the past three quarters. 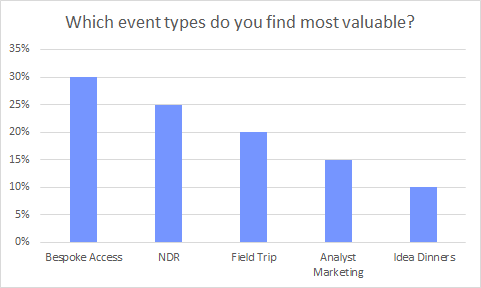 Another realization our clients have is that aside from just having a quantitative framework to understand how much to pay brokers, there needs to be a qualitative aspect to better understand the quality/delivery of each event. For example, if a corporate is a no-show to a broker-hosted meeting, that information needs to be noted. Unfortunately, many funds today continue to operate in the dark and blindly pay commission dollars to their providers with no clear understanding of the value provided and the appropriate corresponding commission payments. After taking these steps to back into a budget, use this sample rate card to follow the formula you've created for each event and meeting type moving forward.